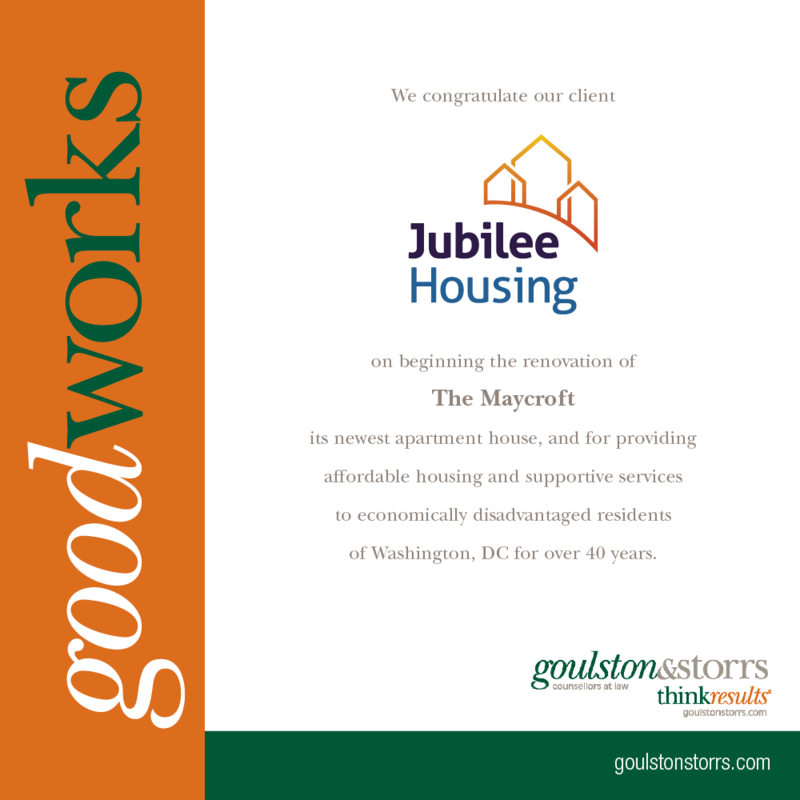 Jubilee Housing, Inc. (“Jubilee”) provides affordable housing and supportive services to more than 700 economically disadvantaged individuals and families in Washington, D.C. The nonprofit turned to Goulston & Storrs when it was presented with the opportunity to expand its affordable housing portfolio through the acquisition of a 66-unit residential building, the Maycroft Apartments at 1640 Columbia Road, NW. Goulston & Storrs helped Jubilee develop a strategy to meet the cost of rehabilitation and obtain approval for the property’s desired uses, such as a child care center, that were not allowed as a matter of right. Jubilee’s forty years of providing quality affordable housing in Washington, D.C. has led to a reputation that attracts off-market offers to adapt buildings to affordable housing use. With regard to the Maycroft opportunity, Goulston & Storrs worked with Jubilee to develop a winning strategy that takes advantage of zoning relief and implementation of historic preservation tax credits. A Goulston & Storrs team went to work on the project as a natural extension of the relationship built through a history of land use representation and organizational support. 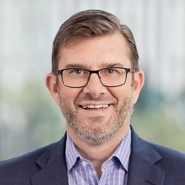 In fact, attorneys Allison Prince, Paul Tummonds and Jeff Utz have served sequential terms totaling almost eighteen years on the Board of the Jubilee Support Alliance, with Jeff’s term still open. Goulston & Storrs was a natural fit. 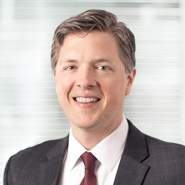 To help meet the cost of rehabilitation, Andi Adams, the firm’s Architectural Historian, shepherded the project through historic landmark designation and assisted the client in implementing an associated tax credit strategy. To allow the desired uses of a child development center, a teen education center and a job counseling center in a property zoned for only residential use, Jeff Utz led Jubilee through the Board of Zoning Appeals (“BZA”) process for special exception approval for each additional use. Teamwork between the firm and Jubilee led to favorable results. The historic preservation tax credits gave Jubilee financing momentum to build a successful capital campaign, and the zoning relief came quickly in the form of a next-day summary order from the BZA. Most importantly, the neighborhood will soon benefit from the expansion of Jubilee’s urban, affordable housing and its related services. Congratulations Jubilee! Since the organization’s founding in 1973, Jubilee has been a model for programs around the country seeking effective responses to the urban affordable housing crisis. Jubilee provides quality housing in a supportive community to expand life options for people with low-incomes.